Farmer Veteran Coalition is excited to announce the application for the 2019 Farmer Veteran Fellowship Fund will open February 1 at 8 a.m. PST. The application will remain open for five weeks before closing on March 8 at 5 p.m. PST. 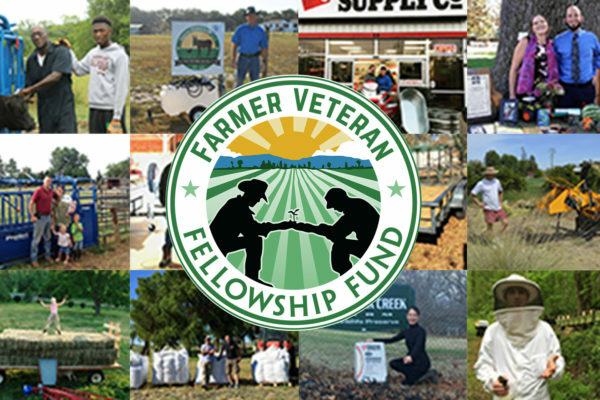 The Farmer Veteran Fellowship Fund is a small grant program that provides veterans with awards ranging from $1,000 to $5,000 to make purchases they have identified will make a crucial difference in the launch of their farm business. Since it was established in 2011, the Fellowship Fund has awarded $2 million to veterans who are in their beginning years of farming or ranching. Once the application opens on February 1, a link will be posted on the Fellowship Fund web page at www.farmvetco.org/fvfellowship. Veterans who would like to receive an email notification when the application is posted can sign up at www.farmvetco.org/notify. The application consists of both short answer and essay questions and requires veterans to submit a business plan. Once the application period ends on March 8, an advisory panel of agricultural industry professionals convenes to review the submissions. Award announcements are expected to be made in April. For eligibility and requirements, visit www.farmvetco.org/fvfellowship. View a list of frequently asked questions by visiting www.farmvetco.org/fellowship/faq.